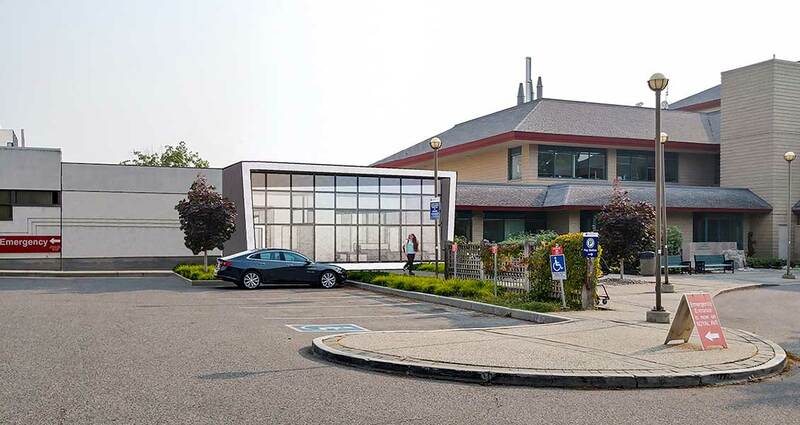 Thinkspace was retained in 2017 to provide professional services for design and construction of an addition to accommodate the procurement and installation of a PET/CT for the Sindi Ahluwalia Hawkins Centre for the Southern Interior (SAHCSI), located adjacent to Kelowna General Hospital. The scope of work included the creation of a fully functional PET/CT suite within the addition, complete with ‘hot’ and ‘cold’ areas, change rooms, uptake rooms, Physician reading rooms, washrooms, and ancillary areas as required to accommodate the program. The majority of the work was outside the existing building envelope with a small portion attributed to interior renovations. To maintain the ongoing use of the facility and site construction access, detailed hoarding plans were determined to suit construction and patient activities.